President Emmerson Mnangagwa's government could be mortgaging the country's diamond deposits to Botswana which has offered the struggling economy a US$600 million bail out package for private sector, months after being spurned by South Africa. Botswana is extending $600 million in two major facilities to Zimbabwe's private sector and diamond industry that will give relations between the two country a huge lift. Zimbabwe this week hosts Botswana for a Bi-National Commission which will result in the signing of the agreements by Presidents Mnangagwa and Mokgweetsi Masisi on Thursday. 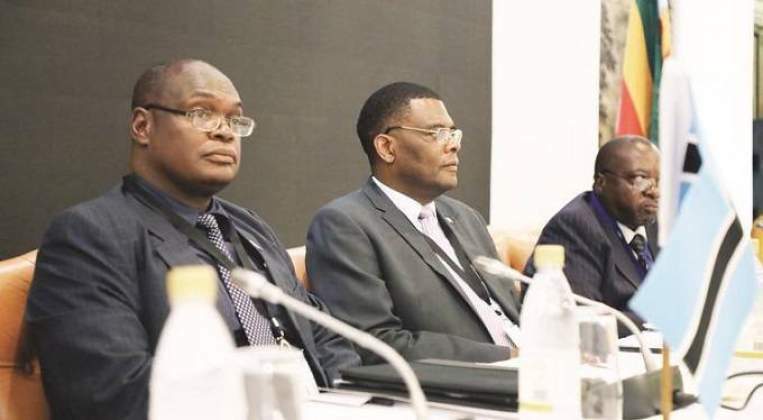 Preparatory meetings for the event began yesterday and Zimbabwe's Foreign Affairs and International Trade permanent secretary, Ambassador James Manzou, who opened the two-day meeting pitting officials from both countries, revealed the details. "Zimbabwe welcomes with much appreciation that Botswana proposed a BWP1 billion (approximately US$94,5 million) credit facility, in support of the Zimbabwe private sector. I would like to encourage all of us as officials to fully utilise our two working days to synthesise the remaining issues that will lead to the operationalisation of this facility. "Zimbabwe is also appreciative of the US$500 million diamond facility offered by Botswana. I also urge this meeting of officials to work in earnest to ensure that all outstanding issues relating to this facility are finalised," Ambassador Manzou said. He also thanked Botswana for supporting Zimbabwe's efforts to turn around the fortunes of its economy, especially the Transitional Stabilisation Programme. "I wish to express my gratitude for the support extended to Zimbabwe by Botswana as our country embarks on a fresh development trajectory under the new dispensation. "That support has not only come in the unyielding commitment towards enhancement of relations through the BNC but also in programmes that will support our economic recovery in line with Zimbabwe's Second Republic's seminal blueprint, the Transitional Stabilisation Programme," he said. Ambassador Manzou said at least three Memoranda of Understanding in Diplomatic Consultations and Rules of Procedure (meant to operationalise the BNC) and that of Agriculture and Mining were ready for signing saying the latter two were at the heart of driving the two countries' respective economies. "We should speedily activate the Joint Technical Committees in the two sectors to ensure actionable programmes take off immediately. In the mining sector, Zimbabwe is especially keen to emulate how Botswana managed to harness its diamond resources giving it a critical role in transforming the country into one of the most prosperous on the continent," he added. In his remarks Botswana's permanent secretary for International Affairs and Cooperation Mr Gaeimelwe Goitsemang said the BNC should further improve ties between the two countries. "It's my hope that the outcomes of this BNC will improve the bilateral relations between the two countries with economic diplomacy taking centre stage," he said. "I hope this new arrangement (the BNC) will improve coordination of our activities. The BNC is a strong expression of the good relations between our two nations." Zimbabwe and Botswana upgraded their relations to a BNC last year following President Mnangagwa's visit to that country. President Mnangagwa and his Botswana counterpart Mokgweetsi Masisi will head the BNC when it sits on Thursday.